Discover how your marketing channels work together to bring visitors to your site. Unravel your global marketing campaigns with easy geographic tracking. Intelligent site reporting and analytics helps you understand your site's visitors. From their location, time visited and pages viewed right down to individual click paths. 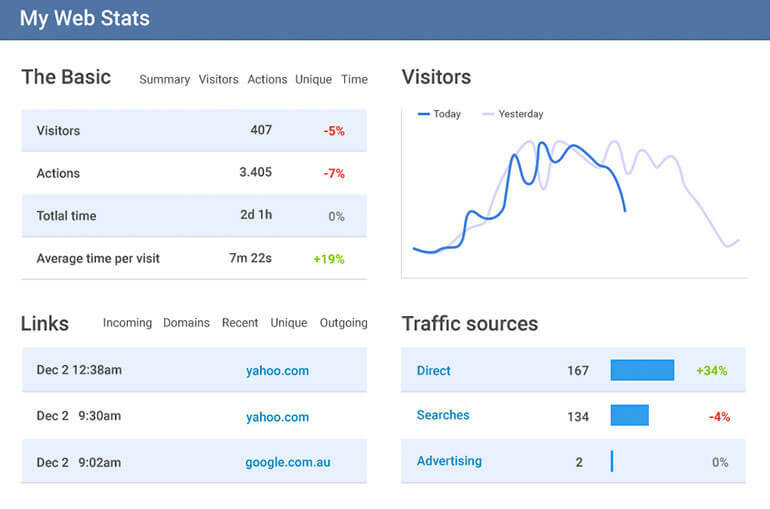 Drill deeper on every potential customer visiting your site, with Web Analytics powerful reporting and analytics. The web is becoming a social place and Web Analytics can measure success of your social media. 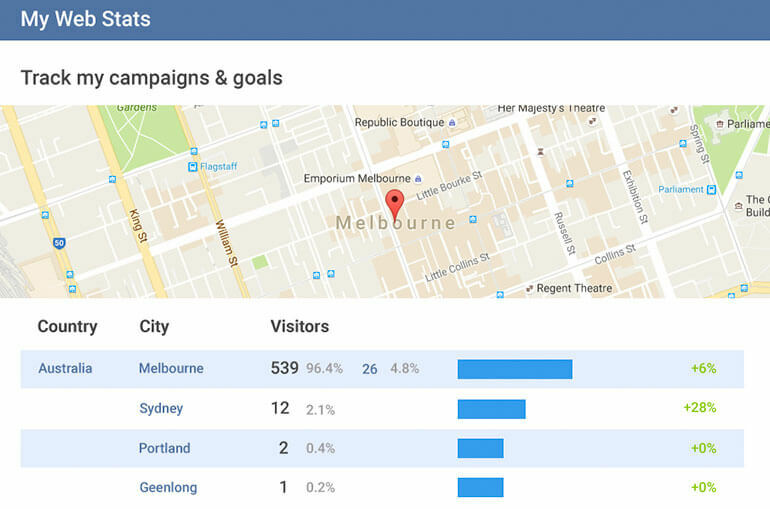 You can analyse how visitors interact with sharing features on your site e.g. Facebook, Twitter, Google+ and engage with your content across multple social platforms. 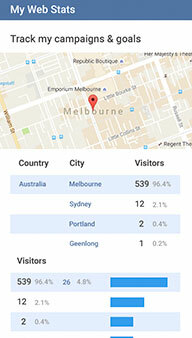 See how many visitors are on your site right now, where they came from, and what they're viewing. With Real-Time reporting, you'll know whether new content on your site is working for you. Web Analytics content reporting helps you understand which parts of your website are performing well, which pages are most popular so you can modify and create a better experience for your customers. 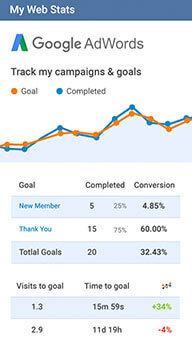 Web Analytics is a powerful reporting platform making it easy to measure and understand engagement on your site. Create customised reports with just a few clicks to share with your team or compare multiple reports and find trends. Mobile traffic via mobile devices is quickly catching up to regular web traffic and it is now vital to track how they drive business to you. Web Analytics helps marketers win across screens and devices by giving you insights to relevant analytics and trends. See how all your marketing channels work together to bring visitors to your site. 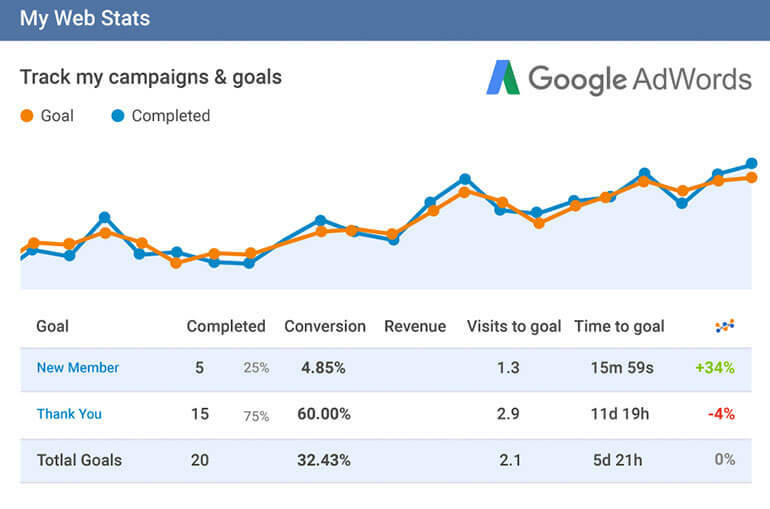 Find out how many customers are visiting your site, how much you're selling and how visitors are engaging with your site with Web Analytics conversion monitoring features. Gain insight into your advertising campaigns by learning how well your digital channels are performing across social, mobile, search and display ads. Link your website activity to get the complete picture and improve your overal advertising performance. 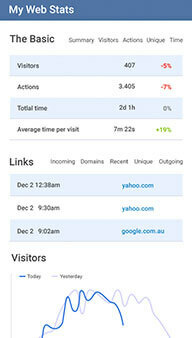 Web Analytics Web data analytics allow you to find traffic source and maximize your site's potential. We provide analysis tools that let you understand your visitors. I am very happy with the service and products your company supply. I believe that Crazy Domains are a Professional organisation and offers its clients a service supported by a highly motivated technical team. Excellent choice and very pleased we selected Crazy Domains.